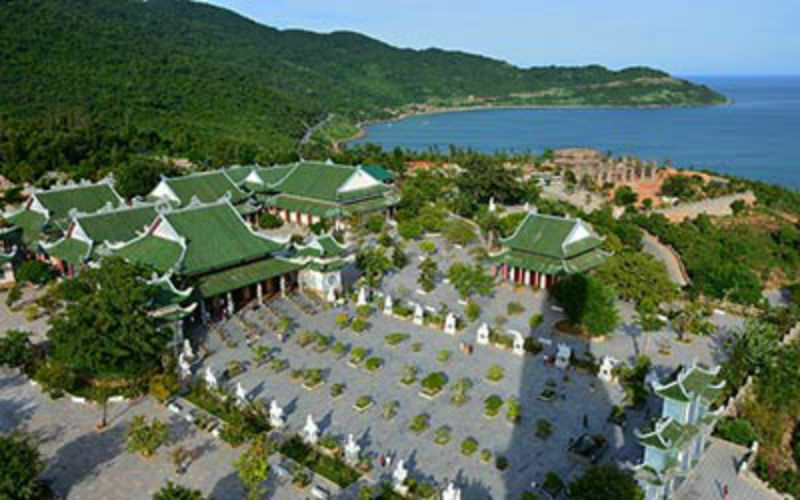 Linh Ung Pagoda was built in a perfect harmony between modern and traditional features typical of a Vietnamese pagoda, hence it has become an attractive tourist site in the beautiful coastal city of Da Nang. 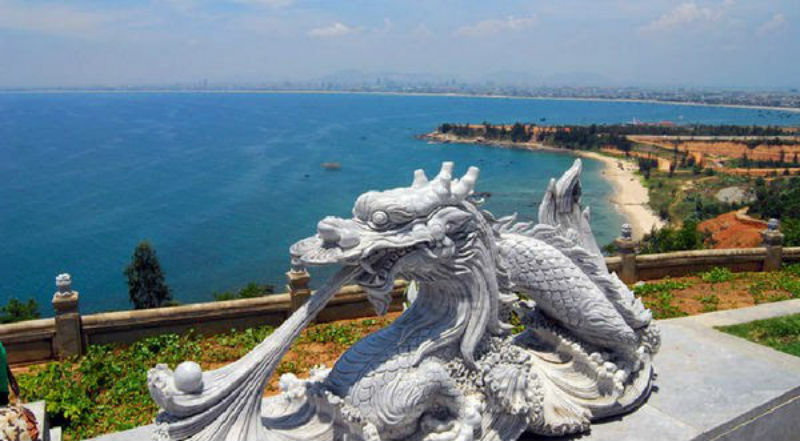 People in Son Tra Peninsula recalled that, at the time of Minh Mang King (Nguyen Dynasty, XIX century), there was a Buddha statue from nowhere to drift on the sandbank here. Believing that was an auspicious sign, people here established a shrine for worship, from that, the region was stable and fishermen could work in peace during a long time. The sandbank where the Buddha statue drifted was then named Bai But (i.e. 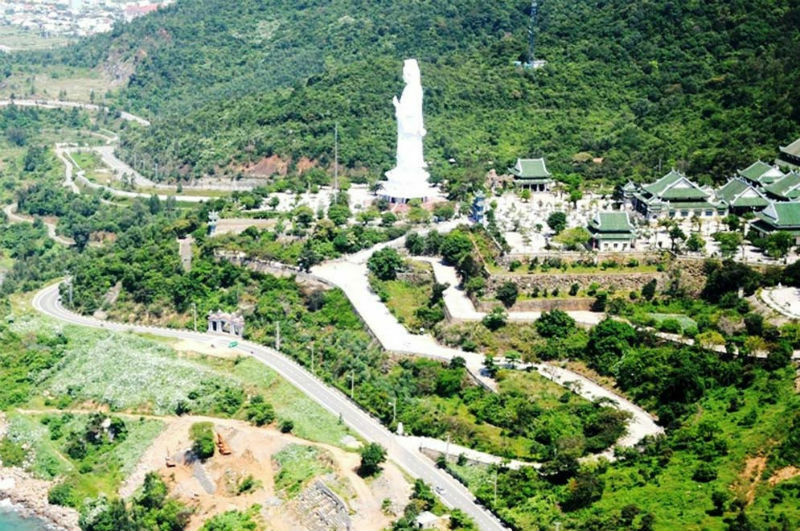 Buddha land on earth) also was where Ling Ung pagoda erected today. Linh Ung Bai But pagoda was placed the first stone on June 19th, 2004 lunar, after 6 years of construction, on July 30th, 2010, the pagoda was official inaugurated. 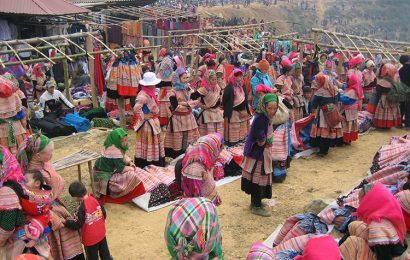 Linh Ung Bai But pagoda is considered as a work stamped development footprint of Buddhism in Vietnam in the XXI century and a meeting place of heaven and earth’s sacred air and people’s heart. 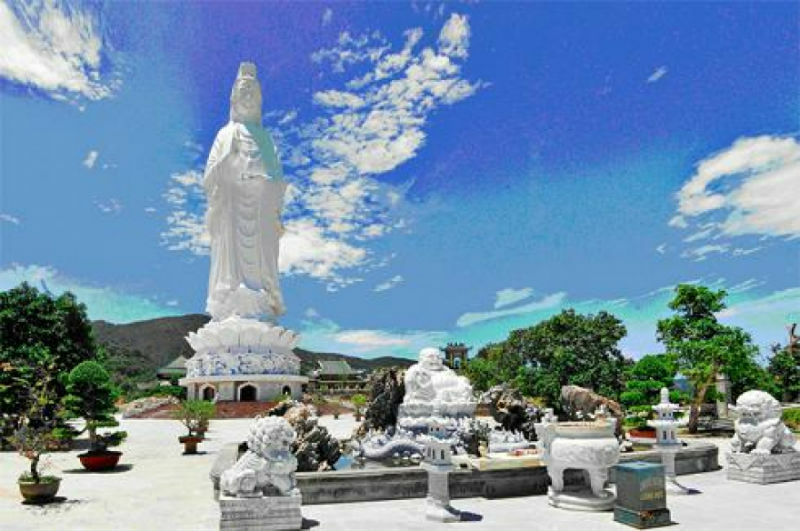 Just 9 km away from the city center, Linh Ung – Bai But pagoda is now considered as the largest pagoda in Da Nang City in both scale and art of architecture. The pagoda brings a contemporary style combined with inherent tradition of pagodas in Vietnam, with curved roof in dragon shape, the solid pillars surrounded by sophisticated sinuous dragons. Main shrine has a large seating capacity where is the most dignified and pure. In the middle, there is a Sakyamuni Buddha statue, the right side has an Avalokitesvara Bodhisattva statue and the left side has a Buddha Tripitaka statue, four Guardians and 18 Arhats are arranged by a rule to protect the main shrine. Each statue is the embodiment of different emotions “joy, anger, love, and hate” of people that makes the landscape here extremely vivid. Most of tourists who come here are surprised to see these Arhat statues portrayed sophisticated, sharp but smooth. 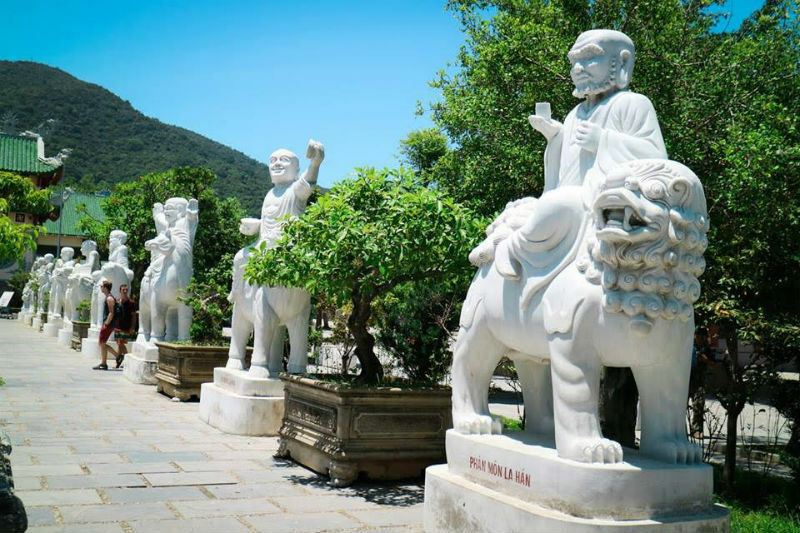 18 stone Arhat statues are one of the most distinctive features of Ling Ung pagoda which were carved up by artist Nguyen Viet Minh (The head of Non Nuoc craft village) with monolithic white stone materials brought from Thanh Hoa. 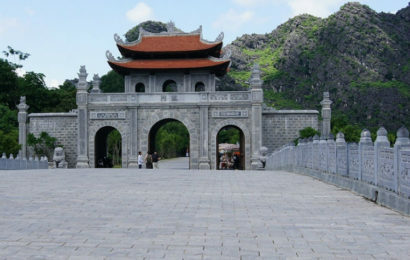 The main shrine of Linh Ung pagoda was built in contemporary style combined with inherent tradition of pagodas in Vietnam, with curved roof in dragon shape, the solid pillars surrounded by sophisticated sinuous dragons. 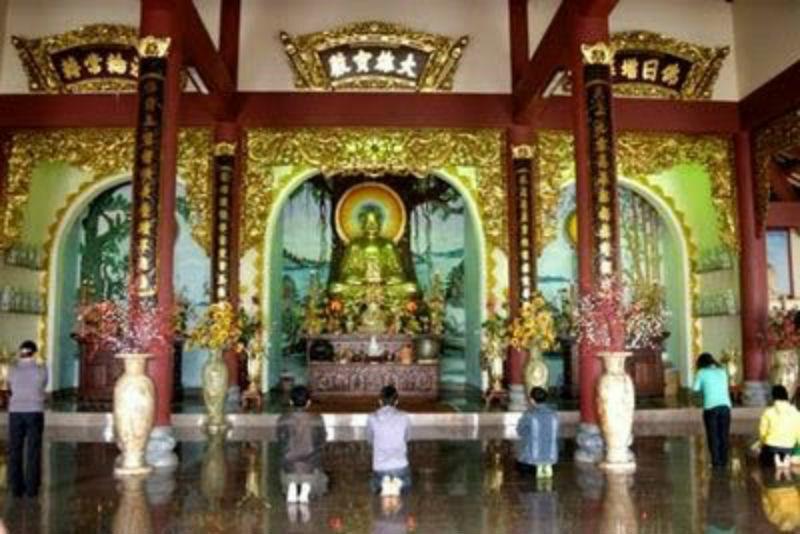 The whole populations of items as main shrine, ancestral home, auditorium, and Arhat statue garden, etc., were built with grand scale in Linh Ung pagoda. 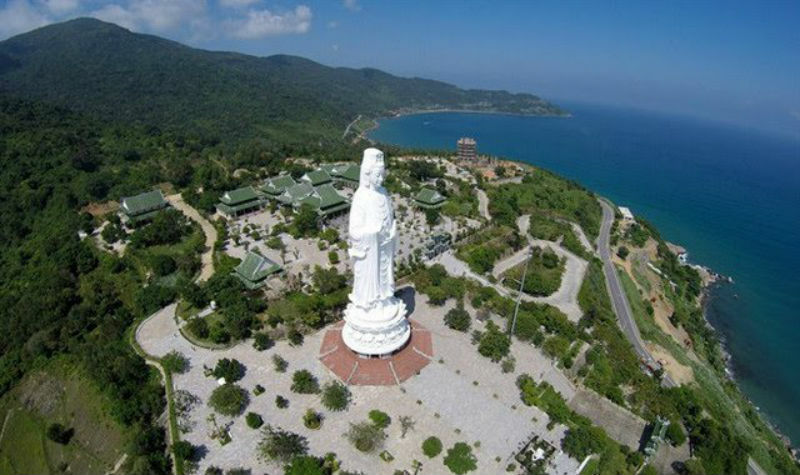 Especially, in Linh Ung – Bai But pagoda, there is an Lady Buddha statue which is considered as the tallest one in Vietnam (67m high, 35m lotus diameter, equivalent to a 30-storey building). It can say, Linh Ung Bai But pagoda was built in a newly formed tourist complex of the city – Son Tra Peninsula tourist area, in the most prime location of this region, the pagoda has become a place of worship, living, studying of monks and nuns, Buddhists as well as a sightseeing place of visitors from four directions, an attractive spiritual tourist destination of Da Nang city where meeting the heaven and earth’s sacred air and people’s heart. 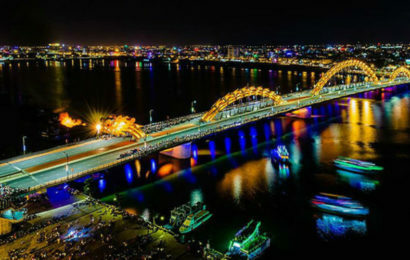 Beside Linh Ung you can come to see Han River Bridge, the moutain not far from there.